Weekly Meal Plan #44 is here and totally suits the first full week of November. Everyone brought their A-Game and it will, once again, be a tough call deciding which recipe you want to make first. 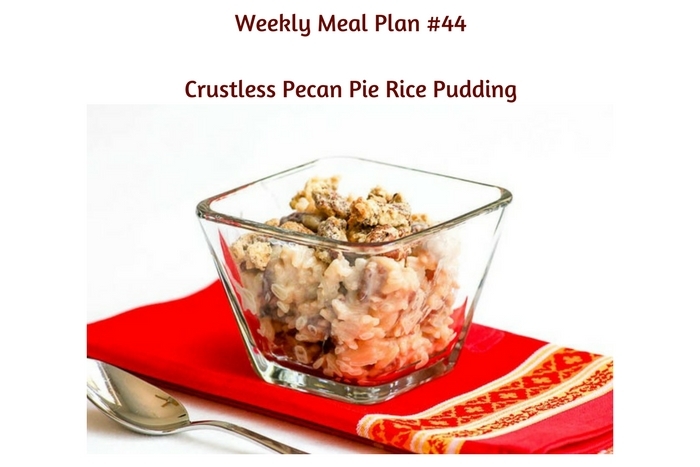 Whichever you do, be sure to make Crustless Pecan Pie Rice Pudding. I love that it can be served in individual glass bowls or in one large bowl. It’s super easy to put together, too. Be sure to click on the name of each dish so that you can grab the recipe. Mondays need something easy! Kimmi’s Dairyland has you covered with a yummy Tomato & Basil Grilled Cheese. Celebrate Taco Tuesday this week with Organized Island’s Taco Pasta with Ground Beef! The Shirley Journey’s Chicken Enchilada Soup looks perfect for a midweek pick-me-up! 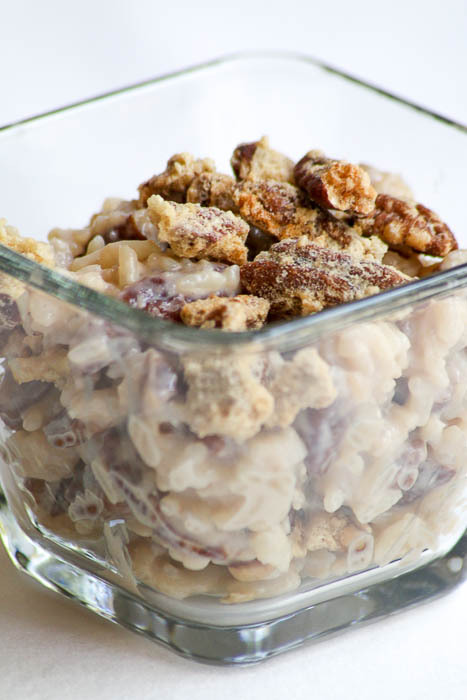 Dessert’s Required’s Crustless Pecan Pie Rice Pudding will hit the spot for your pie craving this fall!